For a cost-effective and a perfectly functional and modern website, charity and nonprofit organizations can always use a WordPress theme. There is a wide variety of themes dedicated to NGOs and they have functions and plugins that are extremely useful. 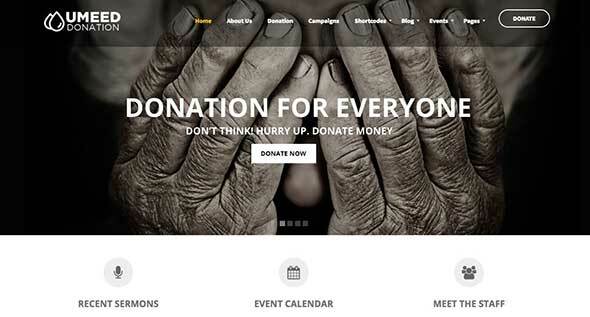 Below you will find a list of 25 non-profit WordPress themes for charitable organizations which we consider appropriate for any NGO or charity organization. 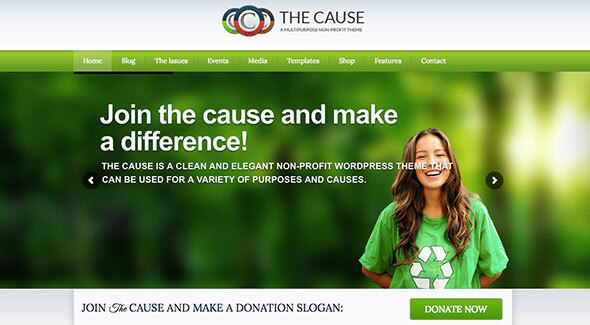 The Cause is a WordPress theme perfect for non-profit organizations seeking a neat, modern and elegant look for their website. This theme comes with 6 custom post types, is WooCommerce ready, has great support, over 20-page templates, 13 custom widgets, great customization tools and the design is fully responsive on any device. 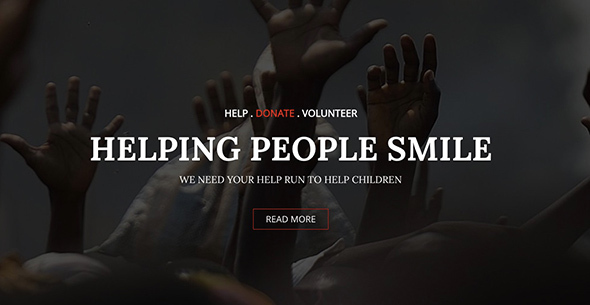 Charity WordPress theme has a more minimalistic design, with a very well structured layout. 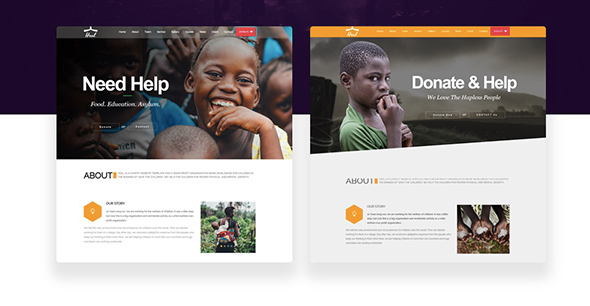 This theme is perfect for any NGOs and charity companies. Some features include a visual composer, great customization tools, 3 different homepage options, 2 blog layouts, an easy setup process and a highly responsive design. Charry is another WordPress theme dedicated to charity websites. The design is highly minimalistic and has a modern look. It has a modular responsive layout, a drag and drop page builder, is WooCommerce ready, has great support and customization tools and the design is responsive on any mobile device. Charity BOX is another WordPress theme created for nonprofit organizations, foundations and charity websites. It comes with many great features like the fully responsive design, a very easy to use admin panel, a drag and drop page builder, Visual Composer, 3 different styles for the homepage, and much more. Alone WordPress theme has a great design with a modern and well-structured look. It comes with many layout and section variations, different helpful customization tools, and the design is fully responsive. 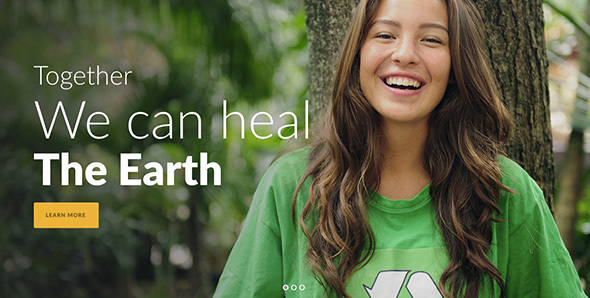 Green Nature is another 100% responsive WordPress theme created for environmental-related donation and charity foundations websites. This theme is WooCommerce ready, has great customization tools and many other helpful features. 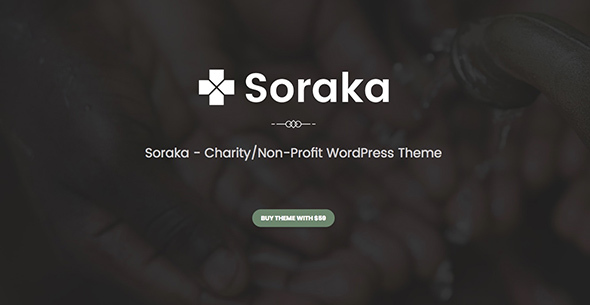 Soraka is another WordPress NGO theme with a neat and minimalistic look. 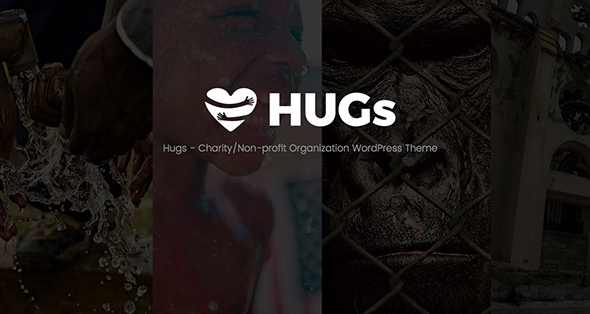 Hugs is a theme for any charity NGO websites and it comes with a fully responsive design, a neat and modern design with a professional look, a visual composer, helpful optimization tools and much more. 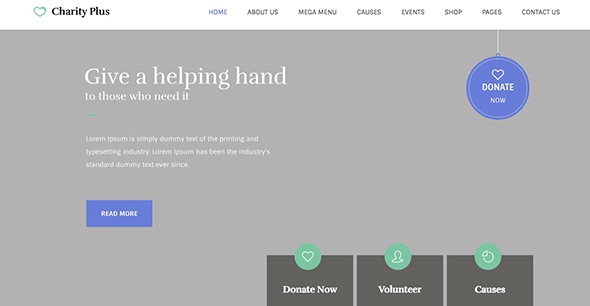 Helping Hands is another charity WordPress theme best suited for charity, donations and fundraising organizations. It comes with helpful customization tools, an easy setup process, great support, a fully responsive design and much more. Go Rising theme has an integrated PayPal donation system, is WooCommerce ready, has an easy to use drag and drop page builder, many post types, a great admin panel, various theme options, and a 100% responsive design on any device. 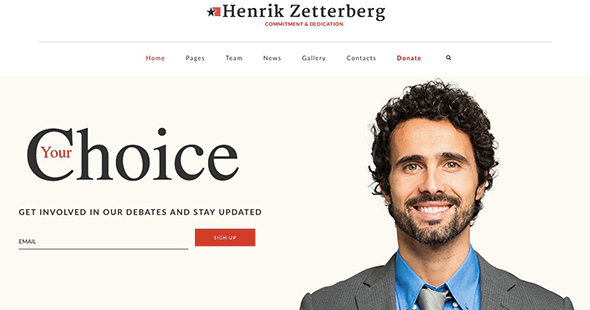 This theme is best suited for any non-profit organizations, charity foundations, and fundraising websites. Save Life has a simple, modern and practical design and was created especially for non-profit organizations, charity and fundraising websites. It has a reliable support, many customization tools, a fully responsive design and many other great features. Ecology is another WordPress theme created especially for environment related websites. It comes with great options for pages and sections, a visual composer, helpful customization tools and a neat and modern design which is fully responsive on any device. Candidate is a WordPress political theme and was created as a solution for politicians, elections, campaigns and social websites. This theme comes with a visual composer, different layout options, it’s WooCommerce ready, has a revolution slider, is SEO ready, has an event calendar plugin and many other great features. 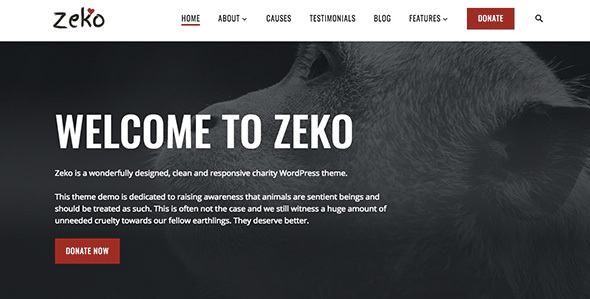 Zeko is another WordPress theme designed for charity websites. The design is neat, modern and 100% responsive on any device. 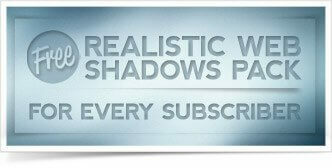 It comes with great support, many customization tools and has many options for layouts and sections. 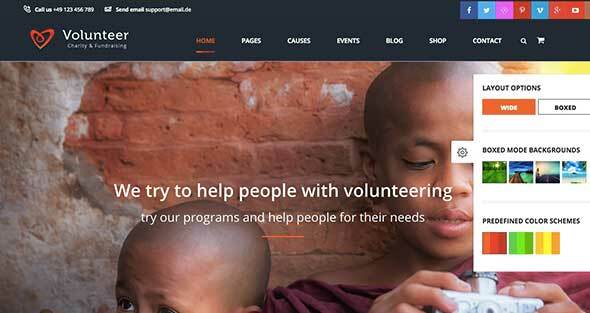 Volunteer WordPress theme is dedicated to non-profit organizations, social programs, or fundraising websites. The design is modern and well-structured, fully responsive, has 3 different homepage options, smooth transitions effects, helpful customization tools and much more. Umeed has a neat, modern and minimalistic design and was created especially for donating websites. It’s also suitable for any other non-profit websites, such as charity organizations, crowdfunding, and others. The design is fully responsive, the theme is easy to install and customize and it has some great options for layouts and page sections. 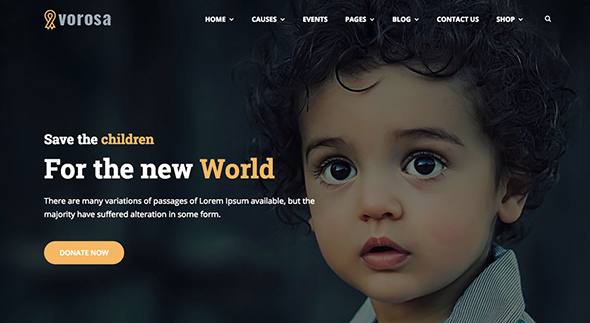 Arisen is another WordPress theme and it has a simple and modern design which is best suited for any charity, fundraising organizations or non-profit foundations websites. This theme comes with blog pages, an easy to use admin panel, many customization tools, and other great features. Right Way is another political WordPress theme and it’s best suited for political activity websites, such as election, campaigns, political party, or social movements. It comes also with blog pages, the design is well-structured and modern, the theme has a visual composer, an easy setup process, great customization tools and a 100% responsive design. 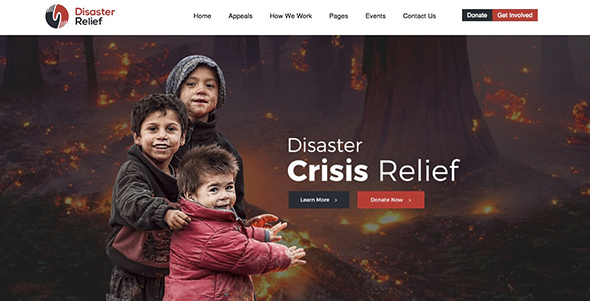 Disaster Relief WordPress theme is dedicated to charity and fundraising organizations websites related to disasters. The design is neat, modern and minimalistic and 100% responsive on any device and the theme comes with many color variations, customization tools, and great support. 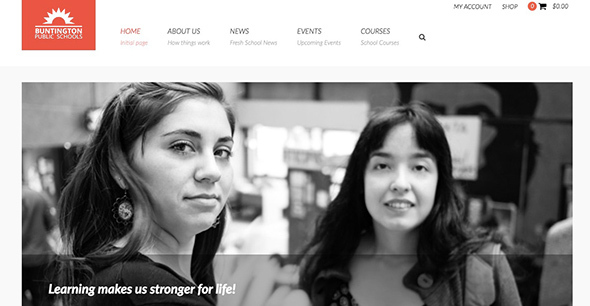 Buntington is a WordPress theme dedicated to any educational related activities. Some features include great customization tools, different theme options, a fully responsive design and many other helpful options. Vorosa is a neat, modern and minimalistic looking WordPress theme and was created especially for charity and fundraising organizations websites. 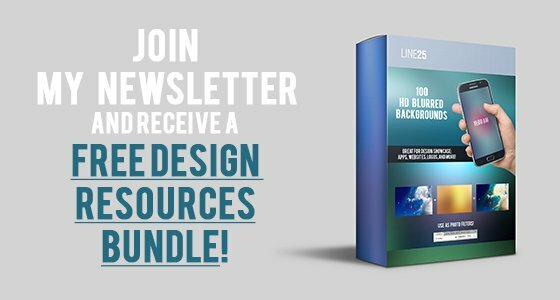 The theme comes with a helpful drag & drop page builder, large image gallery, great optimization tools, many schemes for layouts and section, and much more. 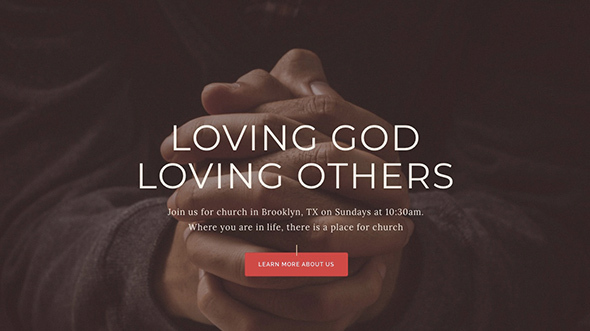 This theme has an elegant design and is best suited to any religion-related and charity websites. The design is intuitive, neat and fully responsive, and the theme comes with many customization tools, an easy to use drag and drop page builder and 4 different homepage styles. 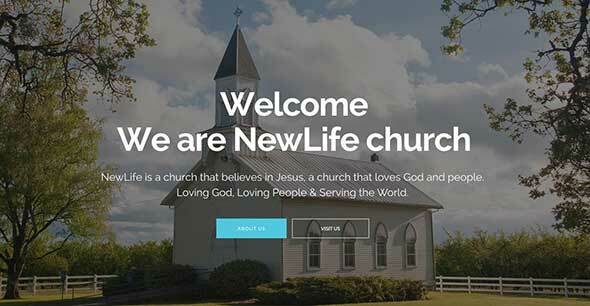 New Life is another non-profit religious-related WordPress theme dedicated to charity, nonprofit organizations and church websites. Some features include an event calendar, live streaming options, a visual composer, has WooCommerce integration, and many other great points. 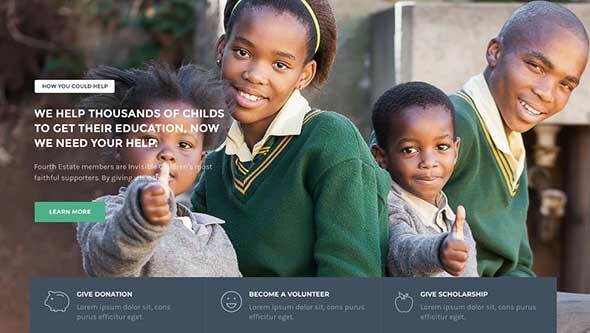 This theme is best suited for any NGO and charity websites. The design is modern and well-structured, is SEO ready, 100% responsive, and it comes with many other great features. 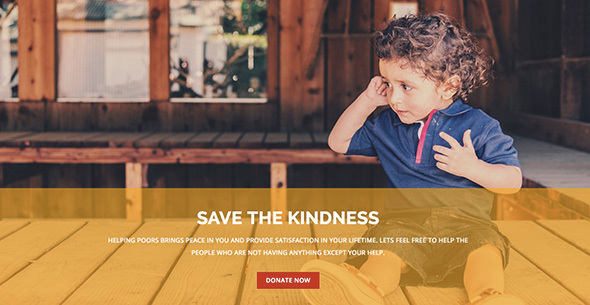 Help Me is another charity WordPress theme and it has a minimalistic and elegant design. It comes with a drag & drop page builder, many layouts and helpful features and a fully responsive design.